Confessions of a Travaholic is a travel blog sharing my favorite places on earth. I provide destination must do’s, advice on where to stay, and other useful tips and information. Hello, my name is Lisa Adams, and I’m a travaholic. A Wisconsin native, I’m a cheese loving, Green Bay Packer fanatic, with a severe aversion to cold weather. In my healthcare IT career, I traveled the United States for 11 years helping clients from Washington to New York, Hawaii to Alaska, and the tiny towns in between implement electronic health records. Traveling weekly, I was able to see and experience places my mind could never imagine. I’ve spent more nights in hotels than in a bed of my own. I have eaten some of the strangest things one can imagine. Some people live to work, while others work to live. I have always found myself working towards my next adventure. From birthdays in Bangkok to honeymooning all over southeast Asia, I can find any excuse to drag my husband or friends along to somewhere new. Together, we have traveled to 61 countries on 6 continents. The highlights of every trip involve exploring nature and trying new foods. Who doesn’t want to cuddle a koala, swim with a whale shark, or learn to make the best pisco sour on Earth? My travel passions include hiking, biking, snorkeling, diving, animal encounters, food, cooking, wine, and massage. 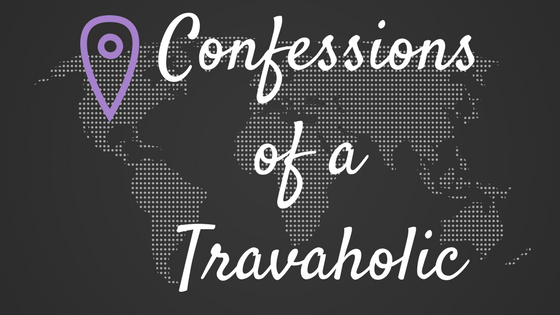 I started Confessions of a Travaholic as a way to document my travels and share my adventures from around the world. Nothing brings people together like sharing a new experience. I want my blog to inspire and encourage people to go further and see more of our beautiful planet. Planning travel can be time consuming and overwhelming. I’ll share my experiences from every trip by highlighting must-dos, where to stay, and other helpful travel tips to get you on your way. So I have to ask, are you ready to join me on my next adventure? For more about Confessions of a Travaholic visit the blog and follow on Instagram for a daily dose of photo inspiration.